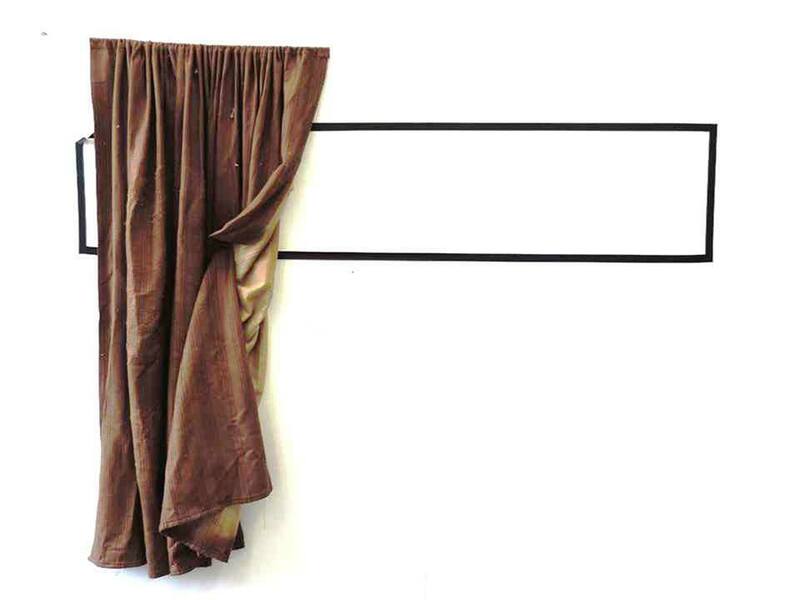 ‘Alpha-Bet’, 2015, rusted signless signpost, 7.7foot tall. 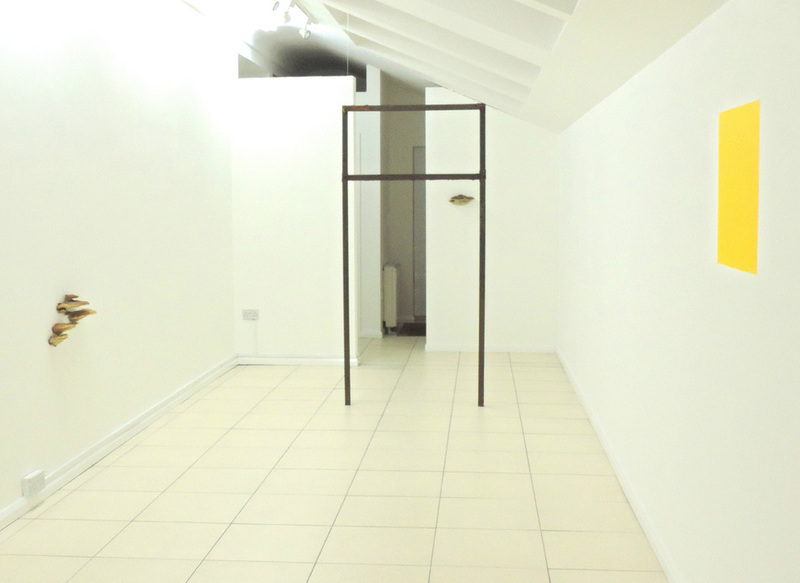 ‘Complexion’, mania yellow square painted directly onto walls surface at head-height. 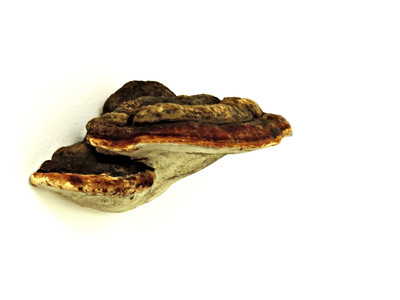 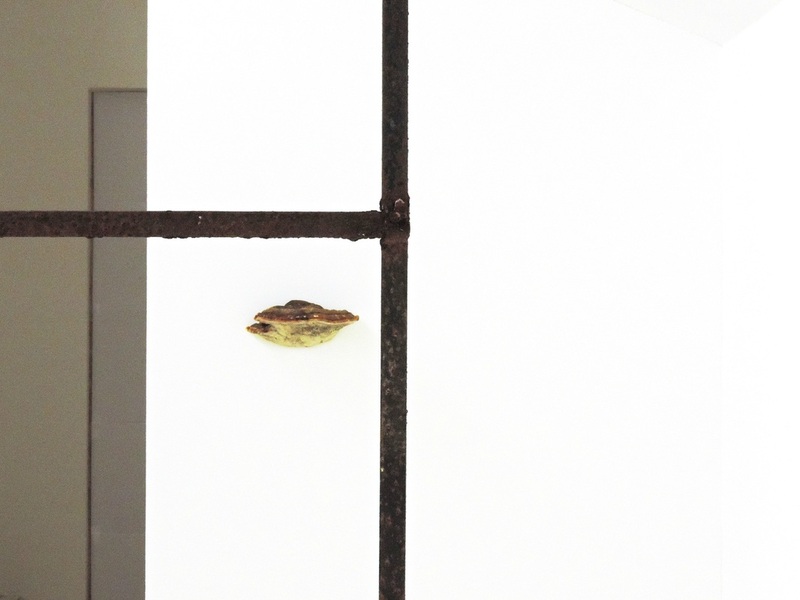 ‘Elder’, 2015, single ancient dried shelf fungus on wall, 1ft x 1ft x 0.5ft.